Every time I read something by Rabbi Jonathan Sacks I find something that enlarges my understanding of God’s profound ways. This week’s post is one of the best. What he wrote here is very much to the point of what I wanted to say today about the verse from Psalm 139 and that psalm as a whole. But what really caught my attention is the rabbi’s quote of Exodus 25:8. Rabbi Sacks is one of the most respected exponents of the Hebrew language of the Bible. In quoting Exodus 25:8, he prefers the interpretation offered by the Jewish mystics rather than the conventional interpretation and translation that is almost universal. The ancient Greek translation of the scriptures, what we call the Septuagint, offers this rendering: καὶ ποιήσεις μοι ἁγίασμα, καὶ ὀφθήσομαι ἐν ὑμῖν. The choice in the Greek version is the same. The preposition ἐν can mean “in, among, in the midst of” – the same range of choices as the corresponding Hebrew preposition! The only difference is that the Hebrew says “in [or among] them” while the Greek says “in [or among] you” and “you” is in the plural, ὑμῖν. But it gets even more interesting when we move beyond the Hebrew scriptures. As a reader of the Greek New Testament I am drawn to Luke 17:21, which reads in the original language: ἰδοὺ γὰρ ἡ βασιλεία τοῦ θεοῦ ἐντὸς ὑμῶν ἐστιν. What is interesting is that most modern English translations render this as, “for the kingdom of God is among you” or, “in your midst.” But older translations, including the King James version, translate “for, behold, the kingdom of God is within you.” Why such a decision in the modern translations? Are modern translations allergic to any kind of spiritual or mystical sense? Does everything have to be external for the modern mind? The fact of the matter is that the preposition ἐντὸς is far more specific than ἐν – it means “inside, within”, not “among”! If you look at the biggest and most reputable dictionary of ancient Greek, the Liddell and Scott Greek-English Lexicon, you find only one meaning: “inside, within” and the opposite is listed as ἐκτός, meaning “outside”. And yet, when you look at lexicons of New Testament Greek, the meaning of “among” crops up. Why? The only other place in the New Testament where this preposition occurs is in Matthew 23:26 – “First clean the inside of the cup and the plate, that the outside also may be clean.” Note the Greek text: καθάρισον πρῶτον τὸ ἐντὸς τοῦ ποτηρίου, ἵνα γένηται καὶ τὸ ἐκτὸς αὐτοῦ καθαρόν. Note the contrast between τὸ ἐντὸς, the inside, and τὸ ἐκτὸς, the outside. So I ask myself again. Why these maneuvers with language? The Hebrew text of Exodus 25:8 does seem to imply the usual translation, “among them” or “in the midst of them,” though Rabbi Sacks and Jewish mystics make a strong support for “in them.” The Greek text of Exodus 25:8 is more open to the other translation – at least linguistically. But the Greek text of Luke 17:21 is definitely something else. The preposition ἐντὸς has only one meaning in classical Greek. Why should it take a new meaning in the New Testament – and in that one instance of Luke 17:21, when in the only other occurrence in the New Testament, Matthew 23:26, it clearly means “inside, within”? What gives translators of the Bible the freedom to come up with a new definition? Especially when the new definition changes the meaning of a Bible verse completely? There is power in prepositions – even mystical power – and prepositions can make all the difference in how we read a biblical text. Careless reading and translation of biblical texts should not be accepted, especially when they’re also wedded to a particular world view. The Bible touches both the inside and the outside of our existence. Let’s not limit the Bible’s reach. 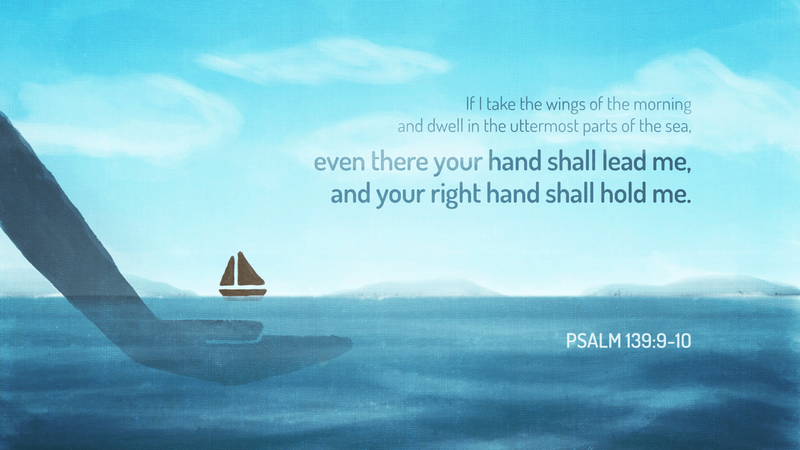 Psalm 139 tells us that God knows us inside and out and everywhere. The word of scripture is like a double-edged sword, “piercing to the division of soul and spirit, of joints and marrow, and discerning the thoughts and intentions of the heart” (Hebrews 4:12). So yes, God commanded the construction of the tabernacle in Exodus, not because he needs a place to stay, but as a visible reminder that God lives in his people; and the kingdom of God is in us, inside us! Categories: Bible Reflections, Biblical Explorations | Permalink. One mustn’t forget that animal sacrifice at the Temple Mount preceeded synagogue services – which are intended to substitute for the prescribed sacrifice of lambs and heifers. Yes, of course. Rabbi Sacks has written extensively on the evolution of biblical worship, and even in the post I quoted he has a historical background before the section I quoted. Thank you for reading and commenting.